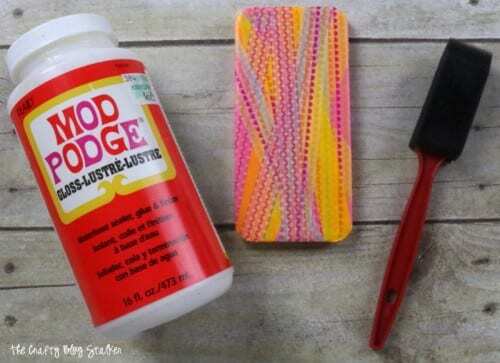 Learn how to make a fun cell phone cover using washi tape and decoupage. An easy DIY craft tutorial idea that will let you express your own style. A complimentary copy of Washi Tape Crafts was given in exchange for my review. All opinions are my own. 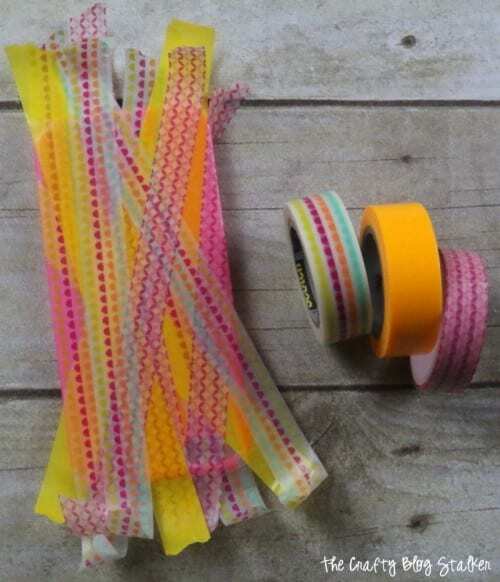 Washi tape is a fun and trendy new craft supply and if you’re like me, you may have gone a little crazy when it comes to purchasing it. I have buckets full. I love washi tape! Although I am not always sure how to use it. Sure, I can tape things down, and hold things together, but there is so much more that can be done with it! 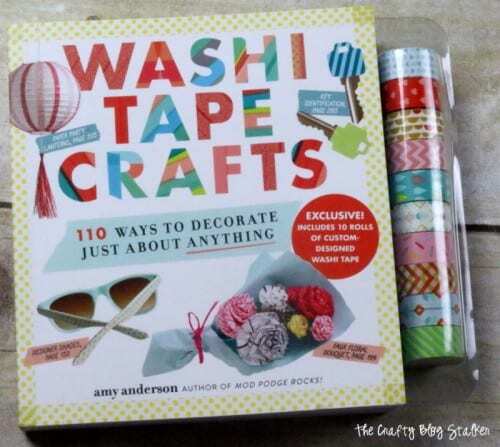 This book Washi Tape Crafts by Amy Anderson shares 110 ways to decorate just about anything! Having a hard time visualizing what some of these projects are? You totally need to get the book. It comes with 10 rolls of custom-designed washi tape, gorgeous pictures and wonderful step by step instructions to complete each project. 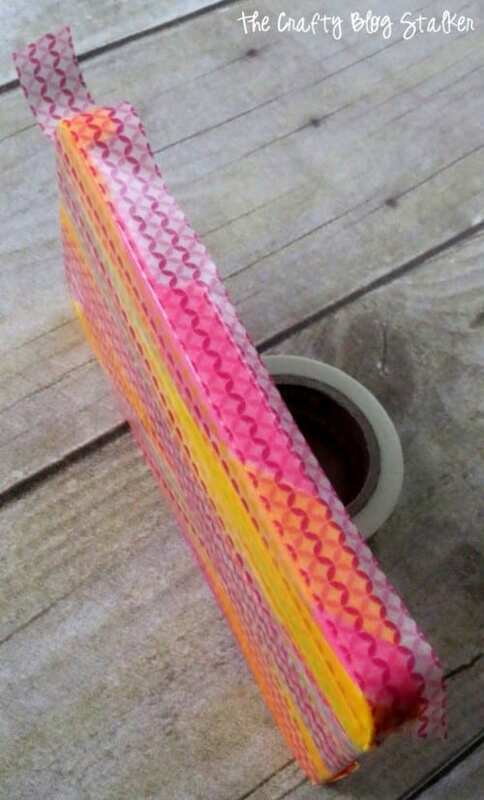 To give you a little taste I made the Snappy Cell Phone Cover from Washi Tape Crafts. 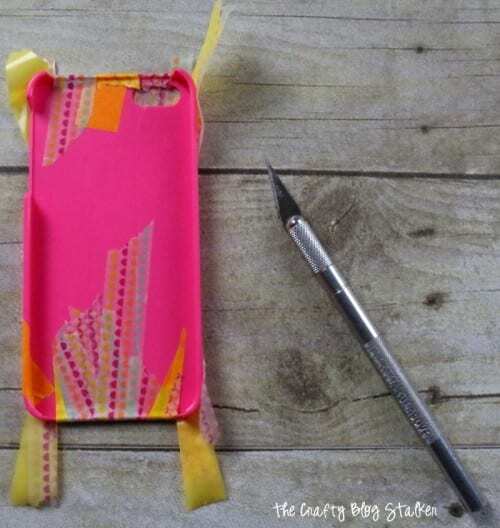 Starting at the bottom of the case, press several strips of one washi tape color to the case. Angling them slightly so they cross and overlap. Then repeat with another color of washi tape. Repeat this step several times until the back of the case is completely covered. 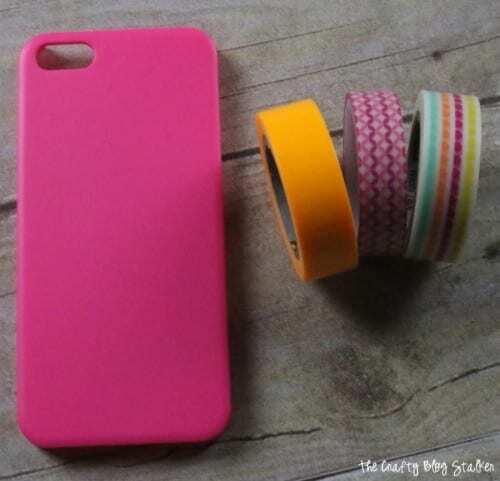 Either after each color, wrap the ends of the tape around the case. Id didn’t read this step very well because I waited until all of my layers were applied and wrapped, and I think it would have been easier if I had done it after each washi tape color. With a craft knife trim off the excess tape where it doesn’t wrap nicely into the case. For me, this was the corners. Since I am dealing with a thicker phone, I decided to then wrap the edges of the case as well. You may not need to do this, it is up to you and the width of phone case you are dealing width. Again, I cut off the excess with a craft knife. Make sure to cut around the edge of the camera hole as well. We can’t leave the camera covered! To keep everything in its place, paint decoupage medium over the outside of the case to seal the washi tape. Let it dry for at least 24 hours before inserting your phone into your new, totally awesome washi tape cell phone cover. 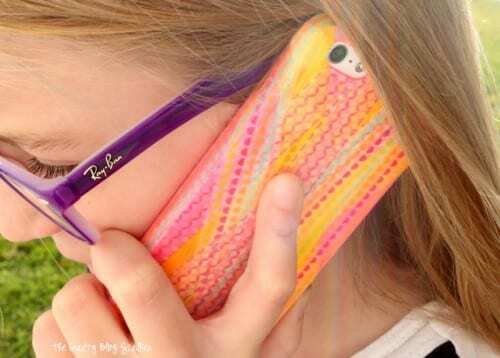 You are now ready to show off your creation and rock your new phone accessory! Washi Tape Crafts really is an awesome book full of so many fun ideas. It is perfect for kids, teens, and adults. There’s a washi tape project for everyone and everything. All you have to do is peel, stick, and create! You can find this book at Amazon, Target, Walmart, or wherever awesome books are sold. What have you done with washi tape? Share in the comments below. 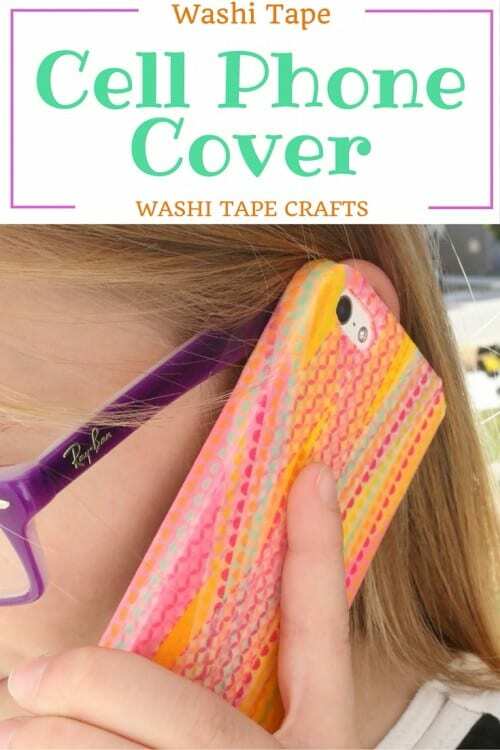 SAVE HOW TO MAKE A WASHI TAPE CELL PHONE COVER TO YOUR FAVORITE PINTEREST BOARD! This is just gorgeous. I’m afraid to use tape on anything because I might wrinkle it. Thanks for sharing. Your phone cover is awesome – absolutely love it! Perfect for gift season 😀 Thank you for the awesome review! I’m glad you like it Amy! It was really fun to make. You can seriously do anything with washi tape! Thanks for sharing with us at Funtastic Friday! I totally agree, Angie! It is so much fun to craft with! Thank you, Catherine! It was a fun case to make!